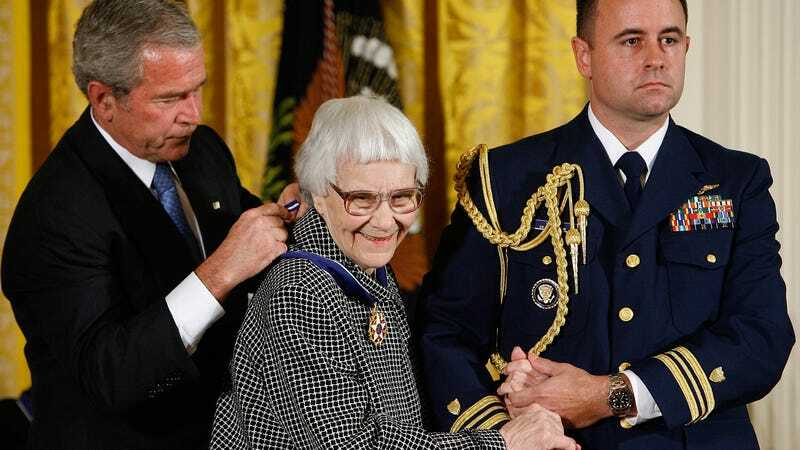 The long saga of Harper Lee’s estate continues: The New York Times managed to get her will unsealed, but apparently it didn’t reveal too much. The will, signed on February 11, 2016, eight days before her death, directed that the bulk of her assets, including her literary properties, be transferred into a trust she formed in 2011. Trust documents are private, so all questions about what will become of her literary papers and who beyond her closest relatives might benefit from her assets, will remain unanswered for now. It is also unclear how the will differed from any prior document Ms. Lee may have created to distribute her assets. The document’s lack of transparency will likely fuel skepticism among those who feel that Ms. Carter had amassed too much power over Ms. Lee’s career and legacy. The will gives Ms. Carter substantial control over Ms. Lee’s estate and her literary properties, which are assigned to the Mockingbird Trust, an entity that was formed in 2011. Ms. Carter served as one of its two trustees at the time. As a personal representative, Ms. Carter is entitled to compensation for her work. The will allows the personal representative to earn additional fees as part of an organization, like a law firm, that does work for the estate. Carter declined to comment to the Times.